We connect people with things to do. When people are trying to decide where to stay, where to eat, where to find something fun to do or just simply relax, we’re there with a distribution network that puts your brochure in the hands of over 9 million people each year. We are, in fact, the most recognized company in the Midwest and Southwest Florida for travel and hospitality brochure distribution. There’s no denying that word-of-mouth is pretty effective at promoting your business, but brochure distribution is a proven, low-cost ubiquitous way to consistently reach your customers. With more than 1000 display locations and over 200 customers, Vector & Ink is the leader in brochure distribution in the Midwest and South West Florida. From strategically placed display locations to the highest level of service, Vector & Ink is bringing brochure distribution to the next level, working hand-in-hand with their customers to increase awareness, stimulate action, and grow revenue. We maintain over 1,000 brochure displays placed at high-traffic locations throughout the Midwest and Southwest Florida! We distribute over 5 Million travel brochures annually! 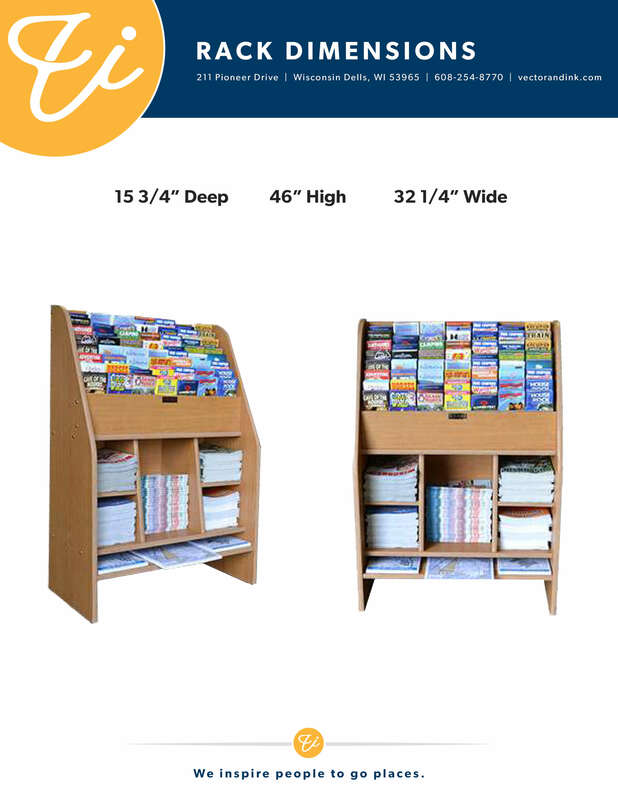 Our brochure display service is FREE to qualifying locations! Our fees are paid by the advertisers whose brochures we distribute in our brochure displays! Vector & Ink’s distribution staff restocks the brochure display rack on a frequent basis with brochures of local and regional interest. Chances are, your next customers found you because of a brochure they picked up at one of our racks. Wherever your customers are, we have a Route that can get your information into their hands! Take a look at our routes with a network of 1,500 racks, we’re there where you need us to be. Don’t pass up the opportunity to network and put your business in the hands of over 9 million people each year. Any questions about how our brochure distribution works?